In the United States last year, you might choose between a coffee shop latte or an additional square foot of industrial space. After all, the average rent paid per square foot for warehouse and distribution real estate was $5.69 in Q3 2018. With cost savings often equaling competitive advantage, avoiding added rent in favor of reassessing the warehouse floor plan and industrial shelving makes sense. Whether or not you crave caffeine, paying to expand your warehouse footprint is probably not as appealing as reclaiming the space you’re already paying for. That’s where industrial mobile shelving systems can give you a boost. Some businesses pay to own and maintain their own warehouses. Others rent from a third party commercial warehouser. This solution helps the businesses that deal with fluctuations in product demand and don’t want to invest in a logistics infrastructure that won’t be needed year-round. 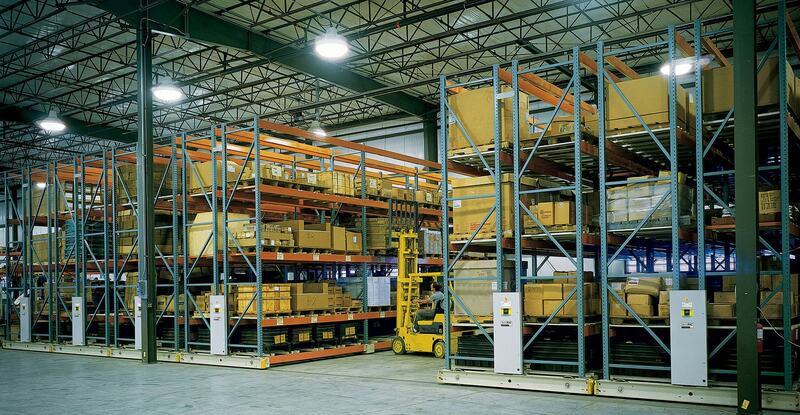 Mobile storage systems have one or more moving aisles that open and close where and when needed. So, quite simply, it can cut down on both the amount of space required to store materials and the time it takes to access them. 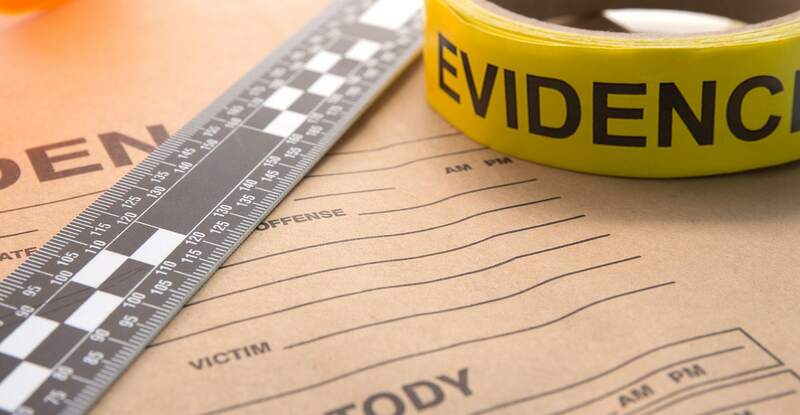 The business can store and secure all of the same materials — different sizes, shapes and weights — as it did before. 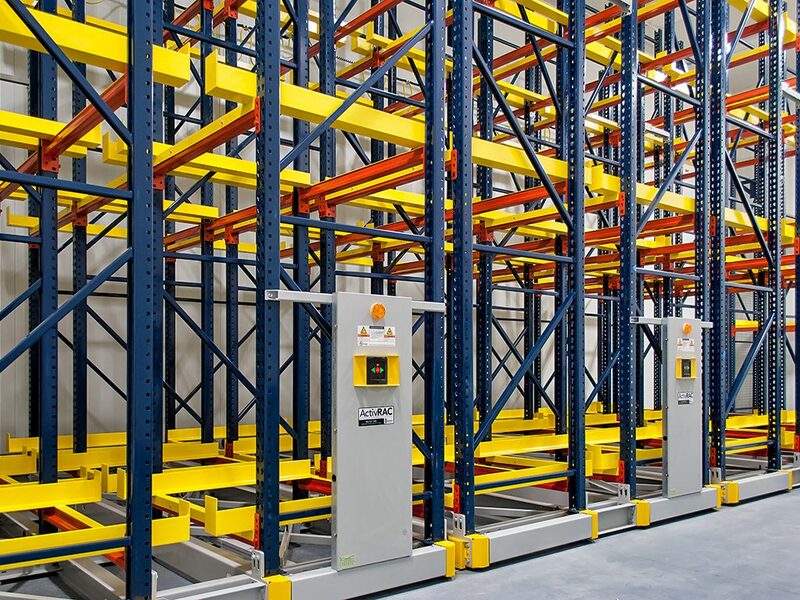 Yet with the old, static industrial shelving replaced by a mobilized storage system, retrieval can become easier and safer. Let’s discuss further how a simple storage upgrade can bring each of these benefits. 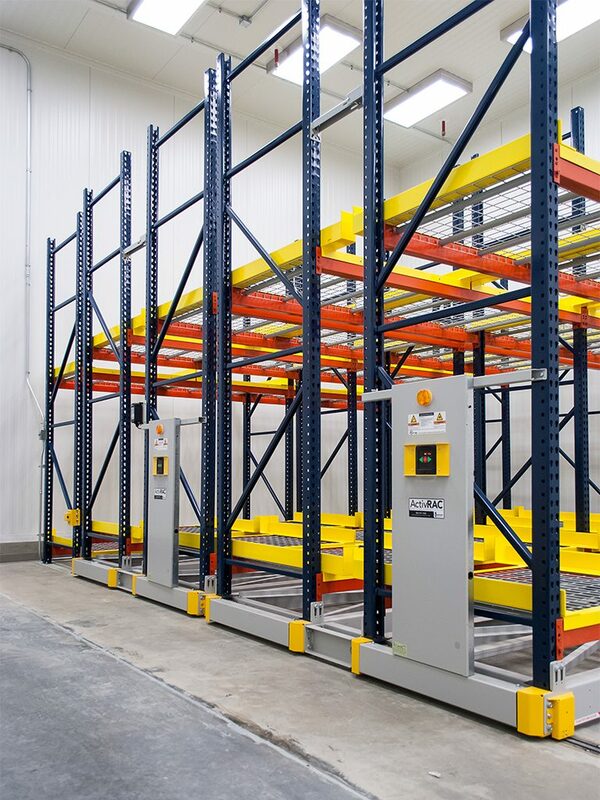 Lower production costs come from replacing the conventional static racking that is wasting significant amounts of space that could be used for storage. By cutting back on multiple space-consuming aisles, and optimizing access to your materials, tools, or products, you can optimize your supply chain logistics to reduce production costs. That static industrial shelving may have been taking up floor space that could be repurposed for an additional production line or other activities that provide a direct value add. Added production space, for instance, is obviously going to help increase your business output. Reclaiming as much as 50% of your existing storage space for revenue-generating activities without expanding into new space can also drive revenue gains. Add another product or production line or establish an entirely new profit center with the flexibility of mobile shelving — without having to break new ground. Then, there’s the improved productivity. Mobilized industrial shelving solutions enhance control over and organization of raw materials, work-in-process, finished goods and essential support materials. With improved access workers can cover less ground to do their jobs, which reduces wasted time and increases efficiency. 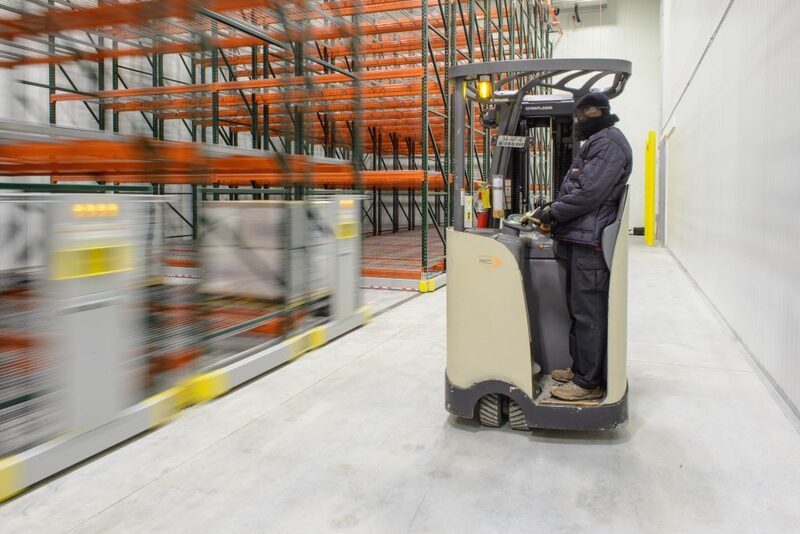 All shelve faces are accessible and can accommodate existing fork trucks and pallet racks, so this mobile solution doesn’t slow down your picking rate either. Ultimately, mobile storage solutions maximize the use of warehouse space by saving up to 50% of storage space without disrupting processes with complicated and costly expansion plans. 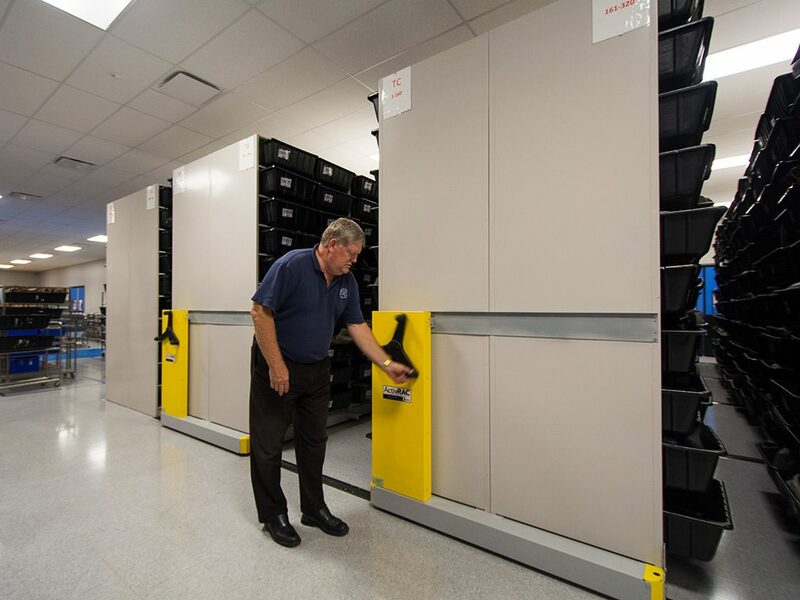 With ActivRAC system’s racking space contained within a smaller footprint, you can be much more intentional about how all the valuable floor space is utilized. 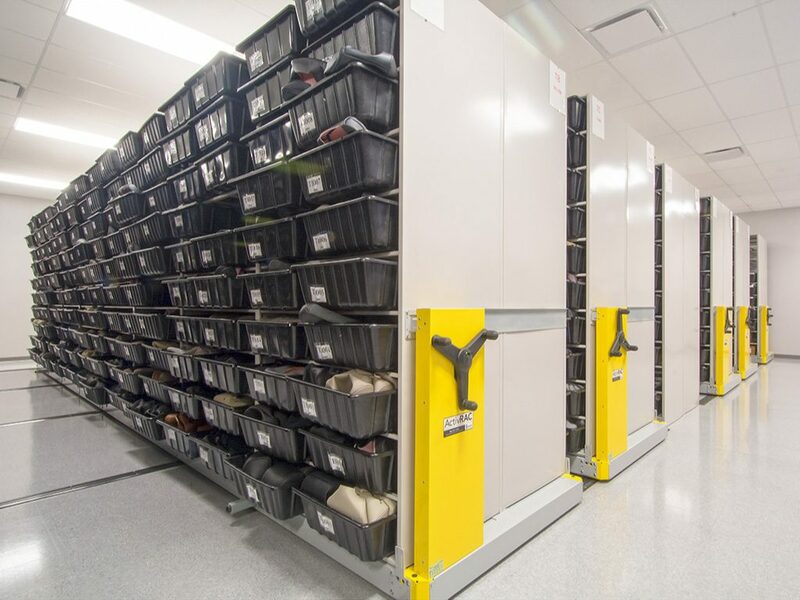 VoxxHirshmann, which manufactures vehicle headrests to be outfitted with DVD players, turned to mobile industrial shelving to save nearly 25% floor space. They were also able to do away with the lifts they had needed to reach the top of its 14-foot vertical industrial shelving in the past. Mobile shelving can be customized and reconfigured to meet changing needs. You can also cut other warehouse costs (lighting, cooling for instance) with a radio frequency (RF) remote function which enables opening or closing of clear, unoccupied aisles as needed. For an aerospace fabrication company in Suwanee, Georgia, for instance ActivRAC even customized a solution that could withstand cold temperatures. ActivRAC mobilized storage system carriages have a load capacity of 7,000 to 30,000 pounds per rack. Select from manual, mechanical assist solution or powered mobile shelving. And don’t worry about the electronics failing and leaving you without access to critical product. ActivRAC solutions feature multiple synchronized motors and a power override unit for use in the event of a system or power failure. Improve efficiency and save space by replacing traditional industrial shelving with a mobile shelving system. Avoid the costs and complications of finding a new warehouse space. Simply reclaim the space you already have to increase productivity, amp up output, and achieve the many benefits outlined in this article. 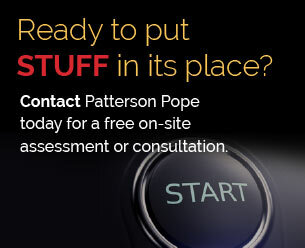 Contact a Patterson Pope expert today about the best high-density mobile storage solution for your business.